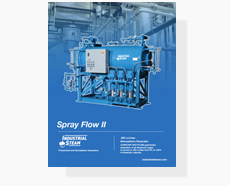 Spray Flow II: Primary application is in hospitals where a shut down for inspection is not possible and reliable performance is a necessity. Systems with high percentages of gravity returns. Provides guaranteed performance during all load conditions for systems with greater than 40% condensate return. “total” engineering comes with every Schaub system. You don’t see the umbrella, but it’s there! operation and service responsibility year in, year out. the same engineered quality components to provide optimum performance to your specifications. installation… and that offers substantial savings to everyone. comprehensive bulletin mentioned at the conclusion of each system description. system. It all adds up to capability…the power of performing Schaub has it! It’s unwise to pay too much, but it’s worse to pay too little. a lot— it can’t be done. you do that you will have enough to pay for someone thing better. is to provide an end product that will do everything it was bought to do. 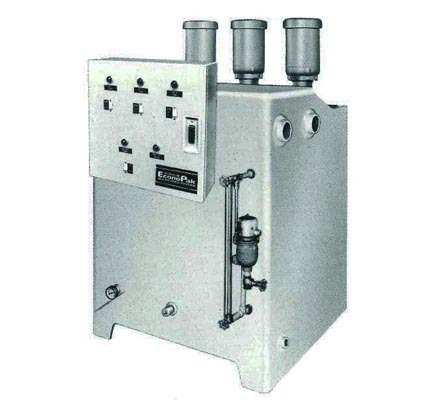 With a Schaub Standard Boiler Feed System, all condensate can be completely recovered. 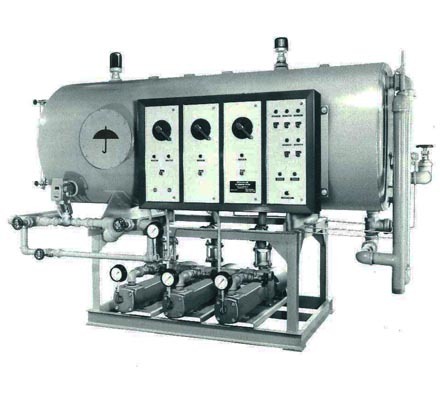 has been diffused within the receiver tank through a perforated nonferrous submerged heater. hazards with a separate switch for cut-off and/or alarm. temperatures of 200 -212 F.
of 205 to 208 within the receiver. temperatures up to 350 F.
manufacturers, plastic molders…to name just a few. only slightly greater than a standard, non-deaerating feed system. 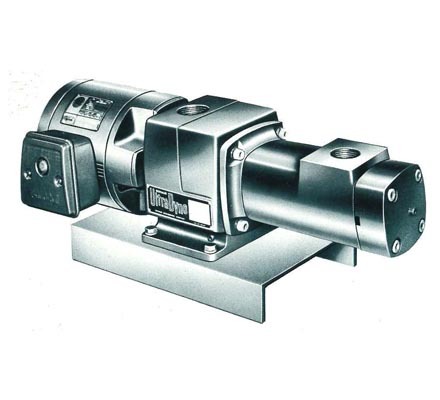 (“air”) that act as a heat insulator and reduce machine efficiency. rate is also proportionately reduced. 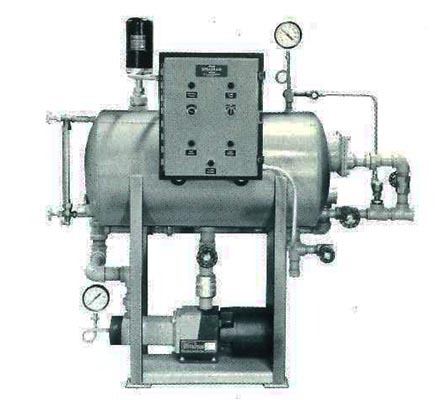 achieving effective deaeration, with oxygen removal to a maximum of .03 cc/liter. 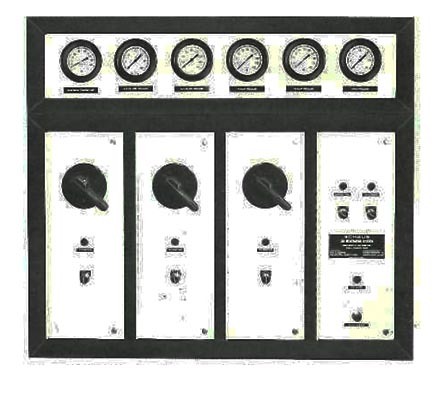 adjustment beyond initial setting of temperature regulator is ever required. In short, the Schaub . 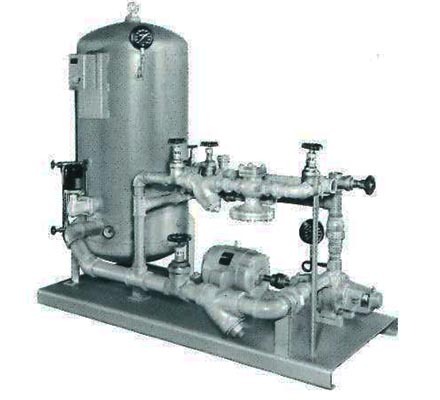 represent a major advance in deaeration design at an economy price. basis (components supplied for field erection) or completely prefabricated. 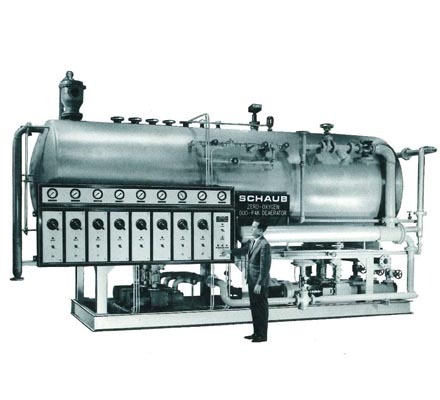 Schaub prefabricated .03 Deaerator System with UltraDyne pumps and Shadow-Box power-control panel. residual oxygen in the effluent. design that could use a “free vent”. pressure with an unrestricted vent. 2. Explosive “shakeout” to completely separate air and water molecules. achieved under all load conditions. costs and gives the operator convenient “eye-level” maintenance. produced by a single manufacturer, providing total undivided operational reasonability. exceptions! 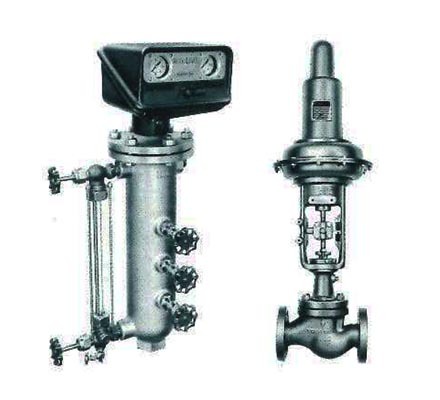 You will get that with a modern design Schaub deaerator. 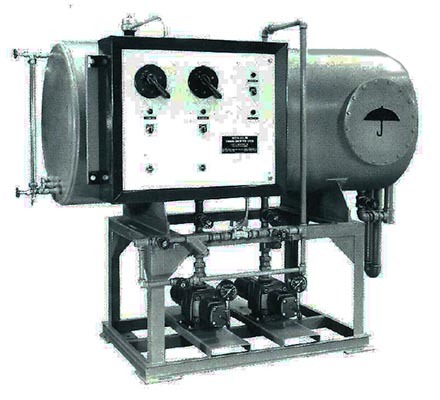 Schaub prefabricated .005 Duo-Pak Deaerator System with UltraDyne pumps, Shadow-Box power-control and gauge panel. 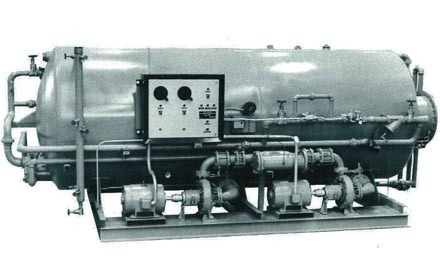 30 to 600 HP at pressures from 20-200 pounds… and can serve up to three boilers. steam loss or the need for an external cooling medium. 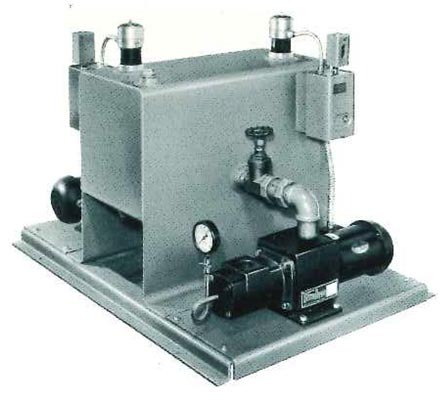 turbine pumps…without the disadvantages of either. 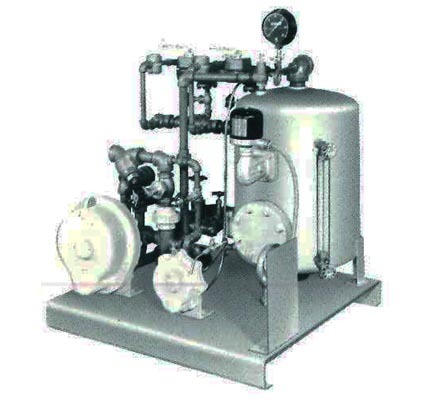 irrespective or startup, operating or shut-down pressure conditions. against burn-out from any cause. 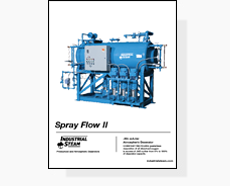 Schaub specifically for boiler plant systems. lower total installed cost that on-site “board” hook-up. made at one point in the panel. A durable, baked-on two-tone enamel finish completes the panel. multiple layers and baked to a porcelain-like finish. It is impervious to thermal shock. 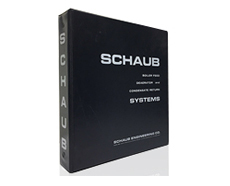 Parts and systems for all Schaub products included in the above catalog.